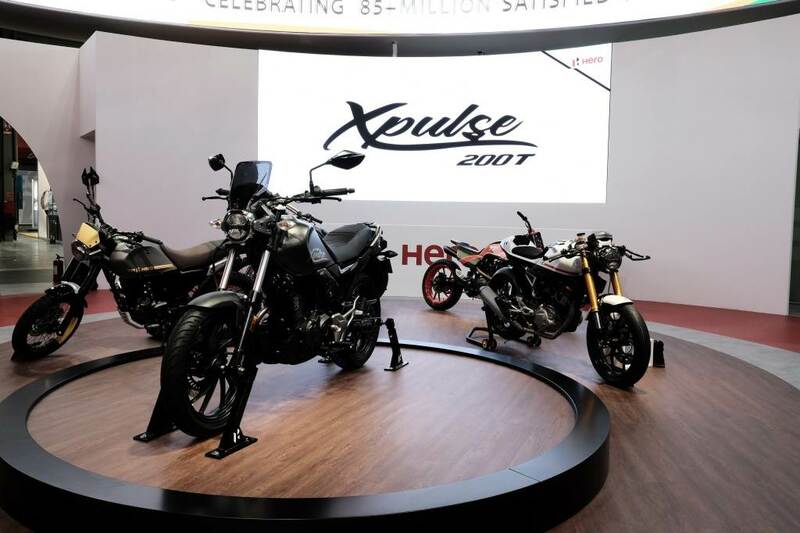 India's Hero MotoCorp, the world’s largest manufacturer of two-wheelers, today unveiled its new premium motorcycle – the XPulse 200T – at EICMA motorcycle show in Milan, Italy. The XPulse 200T is a ‘Tourer’ that offers motorcycle aficionados modern technology in retro styling. Built to inspire touring, the XPulse 200T has a comfortable riding posture with a focus on ergonomics, and loading capability with its large luggage plate. The motorcycle offers a host of safety and convenience features such as single-channel ABS, LED head- and tail-lamps, digital speedometer with Bluetooth connectivity and turn-by-turn navigation. Hero MotoCorp has been building up a robust range of premium motorcycles and scooters. The Xtreme 200R, which was recently launched in India, is a youthful city motorcycle. The XPulse 200T on the other hand is a touring motorcycle, while the XPulse 200 caters to the adventurers beyond paved roads. Both XPulse 200 and XPulse 200T are likely to be launched in the market towards the beginning of next year. Providing a directional glimpse into its future roadmap, Hero MotoCorp also showcased four customised motorcycle concepts that promise to make premium and niche motorcycle segments accessible to the customer. The four motorcycles, built through a collaborative approach with global design houses, might also prove integral to growing the company’s new vertical – the Accessories business. Meanwhile, emphasising its focus on a diverse range of higher-capacity products, Hero MotoCorp also showcased its new range of 125cc scooters – Duet 125 and Dash 125 (Destini 125 and Maestro Edge 125 in the Indian market) at EICMA.